The Southern California Association of Chamber of Commerce Executives was started in the 1980’s as a vehicle to bring local Southern California chambers of commerce together for professional development and networking. The organization which is managed by the CalChamber is dedicated to the education and advancement of Southern California chamber management professionals. Benefits include: • SCACCE Leadership Summit: A very popular event that provides in-depth training for Chamber CEOs, board members and key volunteer Chamber committee leadership. The workshop presenters, Dave Kilby and Steve Snyder from the CalChamber and W.A.C.E. have consistently received perfect evaluations. The day’s workshop features key trends facing chamber leaders, key tips and strategies for long term success, great roundtable discussions and action steps that need to be taken in order to have a great team at the Chamber. • Workshop Series: Three workshops will be presented in 2011 year that will focus on topics relevant to Chamber executives and staff and their continued professional excellence. Reduced price for SCACCE members. • Regional exchanges: During 2011 SCACCE will have several regional connection events for SCACCE chamber executives and staff that will provide roundtable discussion on issues facing their chambers. These will be free for SCACCE member chambers. •Scholarships: Membership opens the door to many benefits – one that is highly sought after is financial help to attend the many educational programs here in California. Each year SCACCE awards scholarships to the W.A.C.E. Conference, W.A.C.E. Academy, California Chamber Business Summit, PAC Workshop, and U.S. Chamber’s Institute. Only SCACCE members are eligible. 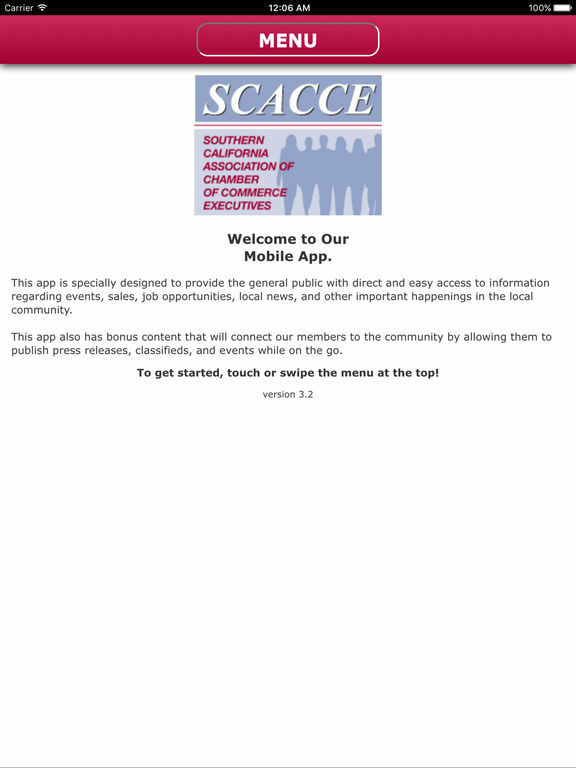 •SCACCE Website: Only SCACCE members will be listed on the website and have the ability to provide press releases and information about their local chamber. In addition, there will be a “member only” section with key information of value to local chambers in the Southern California region. • Communications: SCACCE members will receive weekly updates, a quarterly E-newsletter as well as ongoing communications regarding information of value to Southern CA chamber executives.